Oct. 30, 2018, 4:22 p.m. 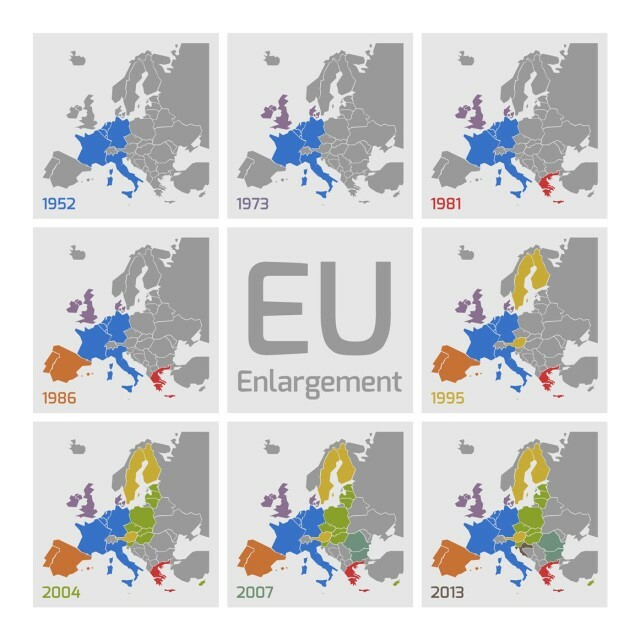 In the bipolar new world regime formed after World War II, the European Union took the first steps by the six founding countries in 1951 with the European Coal and Steel Union Treaty, by the 1990s, the European Union reached 15 members with 3 enlargement movements. 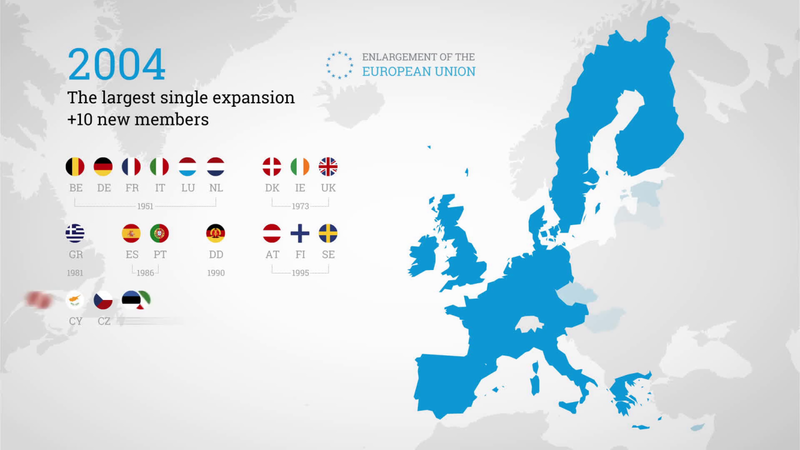 But the most effective and important step in the enlargement policy, which is complementary to the idea of European integration, was the participation of the Central and Eastern European countries, which increased the number of members to 25 in 2004. Moreover, this participation also provided institutionalization of the 'conditionality principle' within the union. After the Cold War, the Central and Eastern European countries, which had been separated from the Soviet republics in the world order that was restructured by the collapse of the Berlin Wall, were determined to approach the line of European integration, adopting the democratic principle and free market economy after the planning economy and authoritarian regime. Independent of the European Union, the dream of 'United Europe', which lasted for centuries, finally came to light again after the Cold War. These countries believed that inclusion in the Western European Integration would be more beneficial and peaceful than other possible options. The European Union's point of view on this integration has been evidenced by the Copenhagen Summit held on 21-22 June 1993 and stated that the EU Central and Eastern European Countries could become members of the Union if they fulfill the necessary economic and political criteria and fulfill their responsibilities. For the first time in the Copenhagen Summit, the conditions for European Union membership and acceptance have been compiled in writing under the three headings "Copenhagen Criteria". -Political criteria: The candidate country must have attained a stable institutional structure secured by democracy, rule of law, human rights, protection and acceptance of minorities. -Economic criteria: The candidate country must have a well-functioning market economy and the capacity to resist market forces and competitive pressures within the EU. -Acceptance of the acquis communautaire: The candidate country should have the capacity to undertake and implement the legislation of the European Union, including compliance with the aims of political, economic and monetary unions. Among these are political criteria, namely democracy, rule of law, human rights and respect for minorities. This is the precondition for the start of EU accession talks. Negotiations with a country that does not meet these criteria are not started. In the process of accession to the EU, the Commission regularly monitors the progress made by the candidate countries towards meeting the Copenhagen Criteria and presents them in the Progress Report. The 'Accession Partnership Document' provides a timeline for the priorities of all the studies that the candidate countries need to undertake in the direction of membership. Each candidate country is preparing a detailed 'National Program' to meet the priorities set out in the Accession Partnership and to align with the EU acquis.